Provide comfort for the family of William Lively with a meaningful gesture of sympathy. William Emery Lively, 84, of Arbutus Park, Clarksburg, WV, went to be with the Lord on Friday, April 5, 2019. He was born on June 6, 1934 in Smithfield, WV to the late Albert and Mary Ellen Greathouse Lively. He was the youngest of 11 children. Bill, as he was known to family and friends, grew up in Folsom, WV, graduating from Smithfield High School in 1952. Two days after graduation, Bill enlisted in the United States Air Force. He served his country for 4 years during the Korean War. He was sent to Alaska to work as an Aircraft Hydraulic Repairman. While in the Air Force, he earned the National Defense Service Medal and the Good Conduct Medal. After returning home from his service in 1956, Bill joined several of his brothers and sisters in the Pittsburgh area. Soon afterward, he returned to Clarksburg enrolled in the West Virginia Business School. He went to work for Hope Gas Company which later became Consolidated Gas Company. Bill met and married his first wife, Betty Lucille Randolph shortly after moving to Clarksburg. The couple settled in Nutter Fort where they began their family with the births of Susan in 1961 and Sharon in 1963. In 1972, Bill married his second wife, Shirley Ann Poe, who became the step-mother to his children. Bill and Shirley were happily married for 45 years until Shirley’s untimely death in 2017. After his retirement from the Consolidated Gas Company, they traveled the lower 48 states for several years. Bill has been in every state except Hawaii. After traveling, Bill and Shirley settled back in Clarksburg during the summer while wintering in Ocala, FL. Bill was a member of the First Baptist Church of Nutter Fort. It was his strong faith that sustained him through several of life’s battles. Bill has always enjoyed walking, golfing, camping and reading. He also enjoyed the outdoors. He could often be found tinkering around the house or working in his yard. In addition to his parents, Bill is preceded in death by his wife, Shirley Ann Lively, six brothers; James Sherman Lively, Charles Henry Lively, Albert Harold Lively, Cecil Paul Lively, John Franklin Lively, and Clark Ray Lively, three sisters; Marie Evelyn Bowers, Winnie Pearl Crispen, and Jessie Mae Ice and his grandson, Isaac Benjamin Haller. Bill is survived by his two daughters: Susan Ferguson (David) of Arthurdale, WV, and Sharon Haller (Chuck) of Tellico Village, TN; six grandchildren: Christopher Ferguson (Kalyn) of Dayton, OH, Angela Ferguson of Nutter Fort, Emily Smith (Joel) of Easley, SC, Chad Haller (Morgan) of San Antonio, TX, Mandi Murphy (Ian) of Willmington, DE, and Jenni Haller (fiancée. Derek) of St. Louis, MO; four great-grandchildren: Addison and Hayden Smith, Max Haller and Ian Murphy, Jr; one brother, Sam Lively of Folsom WV and numerous Nieces and Nephews across the country. Family and friends will be received at the Davis-Weaver Funeral Home 329 E. Main Street Clarksburg, WV, on Friday, April 12, 2019 from 4 until 8pm. Funeral services will be conducted at the funeral home on Saturday, April 13, 2019 at 11am with Pastor Don Fowler presiding. Interment will follow at Holy Cross Cemetery. Online condolences, www.davisweaverfuneralhome.com The Davis-Weaver Funeral Home is honored to serve the Lively Family during this time. 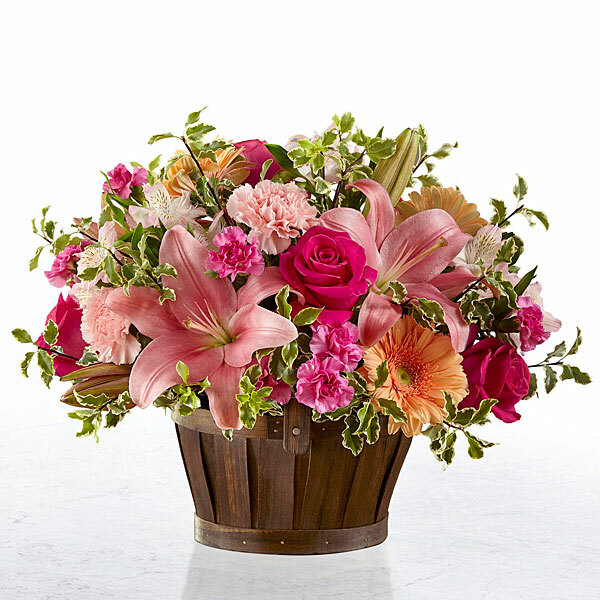 To send flowers in memory of William E. "Bill" Lively, please visit our Heartfelt Sympathies Store. Kenny, Judy, Frank, Amanda and kids. sent flowers to the family of William E. "Bill" Lively. Kenny, Judy, Frank, Amanda and kids. Love and prayers for all! Kenny, Judy, Frank, Amanda and kids. purchased flowers for the family of William Lively.